So easy to make, so silky smooth and creamy, this Coconut Curry Butternut Squash Soup is guaranteed to warm your body and soul with every bite! Seriously! It’ll take you right there! In just about 30 minutes flat, that is! Cuz yeah, it’s crazy easy and fairly quick to make, too! I say the trickiest part in making this soup probably resides in peeling and dicing the butternut squash. Trust me, though, once you’ve gotten the hang of it, there’s nothing to it! If you need help with that, check out this helpful little video that I put together a few years back; it might come in real handy! 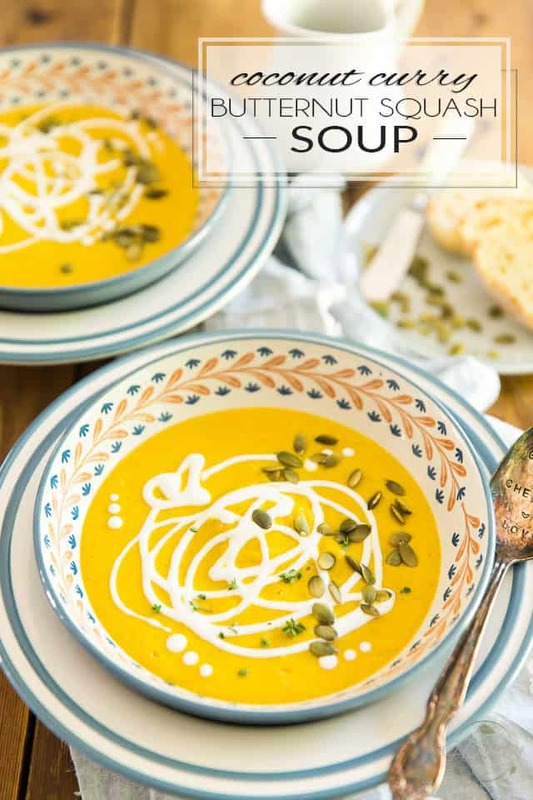 The post Coconut Curry Butternut Squash Soup appeared first on The Healthy Foodie.